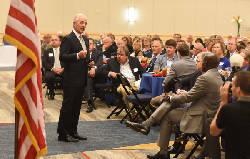 NASHVILLE — Political troubles from the hard right may be multiplying at home for U.S. Sen. Bob Corker, R-Tenn., with a sitting Republican state senator nominated earlier this year by President Donald Trump for U.S. Army Secretary as well as a one-time state lawmaker both taking a hard look at challenging the former Chattanooga mayor. 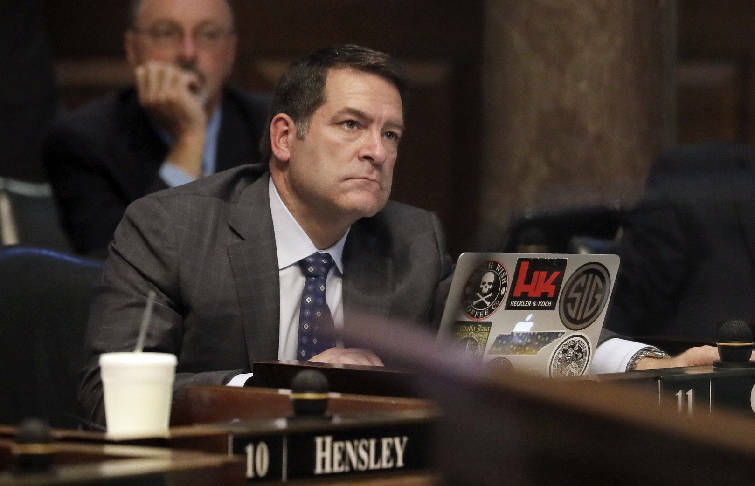 "Anyone truly committed to the people of Tennessee would have no choice but to consider running given the overwhelming push by people all over the state to do so," state Sen. Mark Green, R-Ashland City, stated in a text to the Times Free Press in response to a telephone message. "I am seriously considering it." The same goes for former state Rep. Joe Carr, R-Lascassas, who in 2014 captured just over 40 percent of the vote in an underfunded but tea party-fueled challenge against U.S. Sen. Lamar Alexander, R-Tenn. Citing both Corker's stances on various positions and recent criticism of President Donald Trump, Carr said in a telephone interview he is "looking very seriously" about challenging the two-term senator and has even "talked to a number of people who've been and maybe are still inside the White House" about it as he weighs a bid. 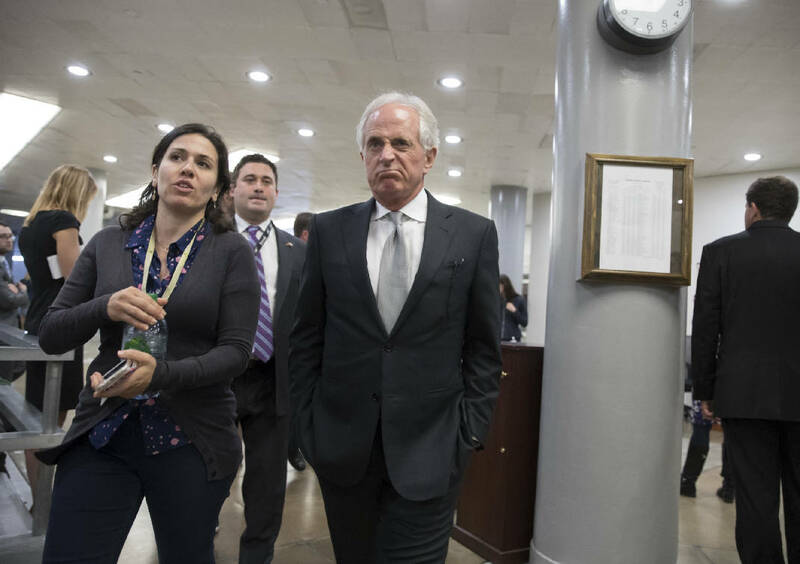 Eight-plus months into the 2018 campaign cycle, Corker, chairman of the Senate Foreign Relations Committee, has yet to declare he will run for a third term — a fact that caught the national news media's attention this week. "[R]unning for re-election has never been an automatic for me," insisted Corker, 65, in a statement last week in which he noted he weighs such decisions carefully each time he comes up for re-election. In 2005, then-Mayor Corker opted not to seek a second term. Instead, he ran for the Senate. Corker's office declined to comment about Green and Carr's statements. But the senator, who has been both supportive and critical of Trump, has come under intense fire from Trump supporters after he sharply criticized Trump following the president's comments regarding the death of a counter- demonstrator at a deadly white supremacist rally in Charlottesville, Va.
Corker said in Chattanooga that Trump "has not yet been able to demonstrate the stability nor some of the competence that he needs to demonstrate in order to be successful," nor shown he "understands what has made this nation great." Days later, Trump tweeted that it was a "strange statement" from Corker "considering that he is constantly asking me whether or not he should run again in '18. Tennessee not happy!" In the meantime, Trump's recently departed chief strategist, Steve Bannon, is looking at adding Corker to the list of GOP senators to be targeted in Republican primaries because of insufficient loyalty to the president, Politico has reported. 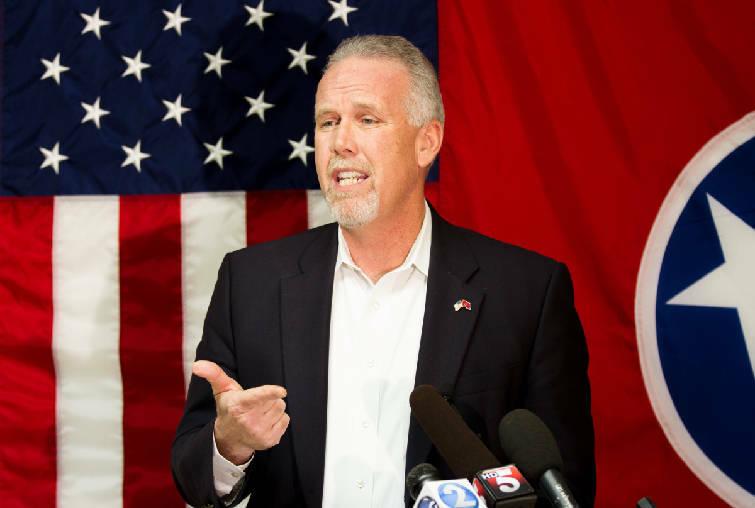 Green started off this political season by announcing last year he was running for the GOP gubernatorial nomination to succeed a term-limited Gov. Bill Haslam, also a Republican. But the physician, West Point graduate and one-time Army major who served in Iraq abandoned that, with Trump nominating him for U.S. Army Secretary. Bannon was among those copied on Green's email announcing he was dropping out of the governor's race, The Associated Press reported at the time. But Green's past remarks about gays, evolution and Muslims, which often play well to many in the GOP base, didn't go over well in Washington. LGBT groups pounced, Democrats attacked and some Republican senators had concerns. Green withdrew his name, charging his statements had been unfairly distorted. There was speculation even then that Green might challenge Corker. But at the time, the former major and physician praised Corker for having defended him to wavering fellow GOP lawmakers. In early August, the physician and retired solider told a conservative talk radio host what may in restrospect have been a qualified statement about his political future, saying he would not run against Corker "as everything sits right now with the races as they're forming for 2018." Meanwhile, Breitbart News, which Bannon once again heads, recently reported that Green was unhappy about Corker's criticisms of Trump. "I've already told Sen. Corker my thoughts about his comments about the President and that's as far as I intend to go at this point," Green was quoted saying. Carr, meanwhile, said Wednesday he has "talked to a number of people who've been and maybe are still inside the White House" about his candidacy as he weighs a bid. The hard-right Middle Tennessee Republican declined to say whether that list included Bannon. "The feedback varied but first of all I was encouraged they knew who I was," said Carr. " And they understood my pedigree is one who's not afraid to engage in the fight. I said while President Trump and I disagree from time to time on the issues, the thing I find that's attractive is his willingness to fight." Carr said he's gotten encouragement to run from any number of Republicans who like his hard-line views about illegal immigration and other issues and are upset with Corker. Carr said he takes issue with Corker's criticisms there and lambasted him on other issues including the Obama administration's agreement over Iranian nuclear fuel enrichment for potential weapons. On Facebook, Carr has blasted Corker over his call to remove a bust of Confederate Gen. Nathan Bedford Forrest, an early Ku Klux Klan leader, from the Tennessee state Capitol. On Thursday, Carr holds his annual "T-Bones and Politics" fundraiser for his state PAC, Joe PAC. In the meantime, Carr has registered a "Super PAC" with the Federal Election Commission. It's called "Stand Firm America." Carr said he raised more than $500,000 for the PAC in just three weeks. Carr is the PAC's designated agent while his daughter, Maddie, is the treasurer. Asked whether he might officially announce a challenge to Corker on Thursday, Carr said "I doubt it very seriously," noting "I want to make sure I stand well aside from the Federal Election Commission regulations and guidelines to that" because of the PAC. Carr said he will have to "divest myself of that relationship" with the PAC if he becomes a candidate. In challenging Alexander back in 2014, Carr got a little over 40 percent, holding Alexander to just under 50 percent. In a state with no runoffs, whichever candidate gets the most votes wins. In his 2016 challenge to Black, the 6th Congressional District incumbent got more than 60 percent. Carr didn't live in the district but won it in his bid against Alexander. He later ran unsuccessfully for Tennessee Republican Party chairman. Tennessee's conservative wing has had difficulty winning GOP primaries in the past. That's in large part because more than one candidate jumps in while there is usually just one major establishment candidate. Contact Andy Sher at asher@timesfreepresss.com or 615-255-0550. Follow him on Twitter @AndySher1.